Occasionally spews liquid onto the player, applying a "Filthy" buff for 10 seconds which turns the player a brownish-green color. Only the Elite versions of the Quivering Filth can drop the pet. Reduces the enemy team's hit chance by 25% for 4 rounds. 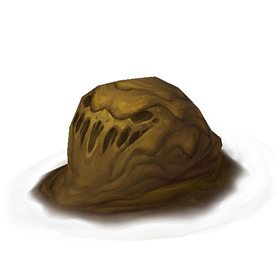 Covers the target in a Poisonous ooze, which deals 275 Aquatic damage plus 98 damage each round. Lasts 3 rounds. I got this after about 520 kills. It's easy enough however because they're near instant respawn timer. I think it took me 30 minutes to an hour. Nice grind for a filthy pet! 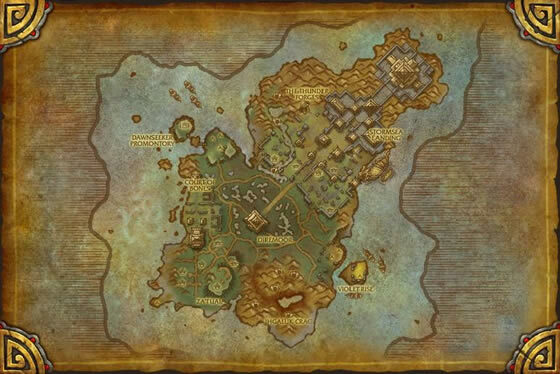 The MOBS are located on isle of thunder at 52.31/80.22. Just go back and forth in the pool killing the smaller quivering filth's. The large elites seem to spawn when the smaller ones are killed. Took me about 10 minutes of killing them before I got the pet drop. Stayed around to catch one for the wife but after two hours, I moved on. Guess I was lucky. Didn't take too long to drop. Maybe around 15 or so kills. Went early morning when hardly anyone else was there. Just got him I killed 3 elites. There was a mage and druid killing like crazy. I was lucky. lol. dont go crazy for it if you got time just kill when you can. Also level him in the 1 area his first spell is dreadful breath, this attack goes for 3 rounds o.O. Headed to the pool in the middle, lost count of small, medium blobs I killed but I only killed like 6-7 of the elites & this dropped. Edit: Just got another one after another 20 kills. What I could observe is that both pets dropped from Elites. But you have to keep killing the little ones anyway to force spawn of the big ones. Anyone knows what is the best breed for pet battles for this guy? ~260 total kills and around a dozen Elites, so quite a fast pet to collect compaired to so many others. As a comparison, I have over 2000 kills for Black Cat, Still Nada, and the respawn rates for mobs is a lot slower. Now off to shower this muck off me. 210 attempts, a little over an hour of farming. My husband came along to help me grind for this one, he took one end of the pool and I took the other, the Quivering Filth mobs are yellow (so it's easy killing) and spawn like crazy, the faster you kill them the faster they spawn, it takes some patience to finally see an elite, and even then they only spawned in groups of two. It took about 30 minutes and less than ten elite spawn kills for this to drop. Considering they are 6K on the AH, was worth the effort. It might be a bit frustrating killing scores of gunk to force the elites to spawn but bear in mind that once the first elite does spawn, they'll come along like busses. I don't have this one yet, but I noticed the mobs have stacked buff called "Filthy" on them. The higher the number of stacks, the larger the mob. The # decreases as you fight them. I found that when I killed mobs that when added together reached 100 of the buff, the elites spawn. I'm not sure what the time limit is though. It could be coincidence, but it happened every time I kept count. When I found out where these guys came from I headed there, I did the round them up & stack them w/Rushing Jade Wind/Spinning Crane Kick & Roll and basically just went to town killing everything. Had the place to myself, which considering how populated the realm I'm on is, was a bit shocking(I'm on Area 52, followed a friend here). It didn't take too long to get one. I ended up with three by the time I decided to take a break. Kill count was 244. Ended up with two H/H & one B/B. So after about 4 1/2 hours of farming I finally got my little guy. I think they increased the drop rate, I noticed just today that I was missing this little guy, so went to farming with my hunter I was prepared to be there for at least 3hrs farming. Just arriving noticed 3 elites so I killed them all, no pet. Then started to kill the little guys and the elites respawned one by one, killed one and there was the pet, I decided to kill the others too but no pet dropped, then killed again the little ones and one elite came up...guess what? Pet. This can't be luck. I see that people are saying that they got this pet really fast, after just a few kills. It took me 753 kills so get it to drop. Took me about 15 minutes to get this little stinky, noone was at the pool and the mobs respawn really quickly, so just pull all and AoE them down :D. You'll have it in no time! The mobs drop alot of junk though, have some free bagspace ;p.
Yay, I was so thrilled to get this today! No daily, so I could just kill at my leisure. I was at about 190 kills (according to rarity) total, so... seven or eight elites? I do love that addon, as it gives you a little 'achievement' style notice when you get the drop. Otherwise I might not have realized I had it! Can't wait to start levelling him. Decided to try getting this one today and after about 100 normal Quivering Filth, and 6 elite Quivering Filth, this guy dropped on my 7th elite. Took about an hour. Tried for another 45 mins and didn't get another. As a true pet battler, I did it all with my Safari Hat on! I love that it comes from a Half Empty Food Container! PS: Favorite place to farm to avoid the filthmongers and pull lots of mobs is 50,80. Then a quick check around the pond to be sure no elites spawned elsewhere. Battle pet trainers are strongly encouraged to wash their hands for at least 30 minutes after playing with the filthling.